We have been troubleshooting residential plumbing services for over 30 years. We provide complete plumbing repairs and drain cleaning. Established in 2005, Top Gun Plumbing is a full-service plumbing company dedicated to providing top quality plumbing installation, inspection, leak detection, and repair services for residential homeowners who want nothing less than the best value for their money on all their plumbing needs. We are a licensed, bonded, & insured company that specializes in high-quality, reliable drain cleaning, underground water leak detection, complete plumbing repairs, and other related services. Based in Bothell Wa, TopGun Plumbing serves residential homeowners throughout Bothell, Kirkland, Lake Forest Park, Mill Creek, Bellevue, Redmond, Seattle, Woodinville, and other neighboring areas. As the trusted authority in underground leak detection Bothell homeowners trust, we are able to quickly and effectively track down the source of your plumbing's leak and fix it up the right way. We also specialize in toilet repairs, faucet replacements, garbage disposal repair, water heater repair & installation, and many others. Here at Top Gun Plumbing, we understand how important it is for our clients to ensure that the plumbers working in their home are qualified, capable, and conduct themselves in a friendly, professional manner at all times. We have a full team of licensed plumbers who are thoroughly background checked and are certified drug-free. So the next time you need expert leak detection and plumbing repairs in Bothell, Kirkland, Bellevue, Redmond, or other surrounding areas, there is only one plumbing contractor you need to keep in mind - TopGun Plumbing! Top Gun Plumbing provides complete plumbing repairs and drains clean. We specialize in locating leaks on your waterline between the meter and your house. We also provide repair of the water line after the leak has been located or we can install a new trenchless water line from the water meter to your house. Topgun Plumbing is your top choice for professional plumbing services. Seattle's residential professionals trust Top Gun Plumbing to design and install plumbing systems. 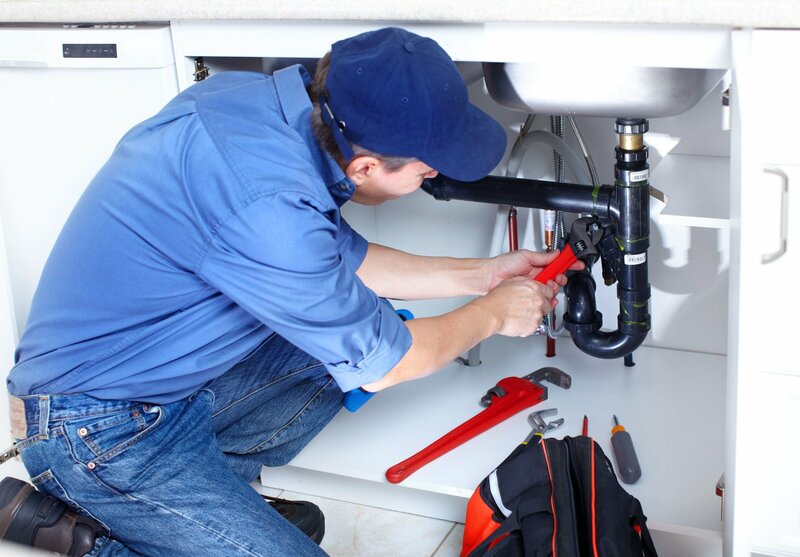 We use top-quality parts and the latest technology for repairing your plumbing system. In no time, everything will be flowing smoothly. Become Another Satisfied TopGun Plumbing Customer! TopGun is an affordable, dependable service company specializing in residential repairs. Our team of professional plumbers is drug-free, uniformed, licensed, bonded, and insured. We give you the price in writing before we start, so there are no surprises after we are done. Our work is guaranteed for a full year, excluding drain stoppages. Contact us today for fast, efficient results. Your 100% satisfaction is our goal! Top Gun Plumbing provides complete plumbing repairs and drains cleaning throughout the greater Seattle Washington Areas.